London, April 6th 2018. 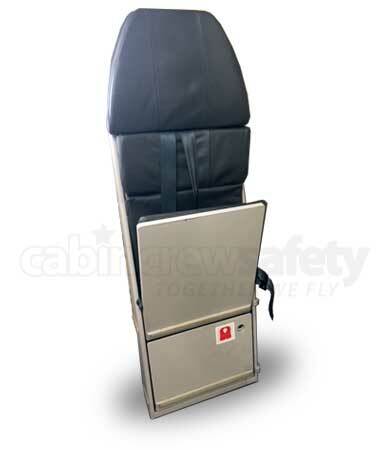 The Cabin Crew Safety team are pleased to announce that we have acquired ex-service crew jump seats (Sicma Aeroseat) for the Airbus A340 aircraft. These are great examples and very rare, finished in dark grey leather and complete with the four point harness they are great for regular use in the crew training hall. We can also supply additional products for training, such as cabin interphone handsets, life vests and other aircraft emergency equipment. Hurry! We only have five remaining crew seats and we are not expecting such a quantity in the near future.